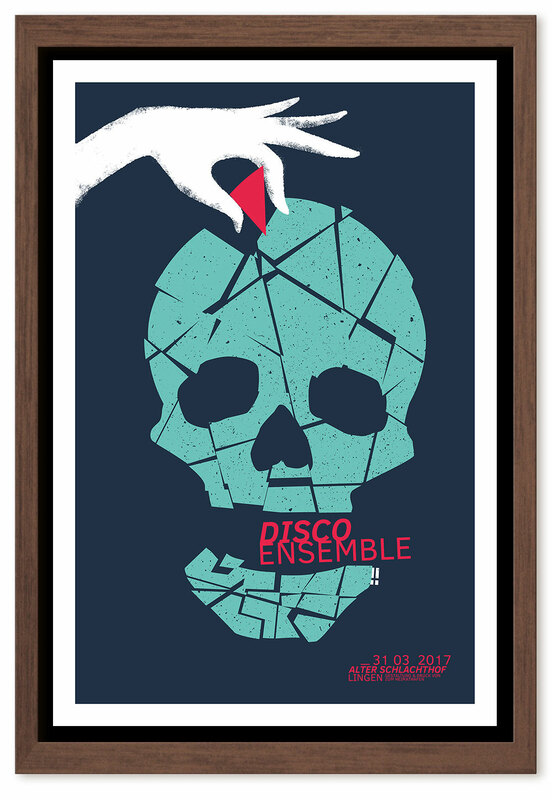 The poster is made for the Disco Ensemble show on the 31st of march 2017 at "Alter Schlachthof" in Lingen. Edition of 50 prints, all are signed & numbered and will be shipped nicely wrapped with a strong cardboard box. The official edition is already sold out, there're only a handful of artist proofs left.